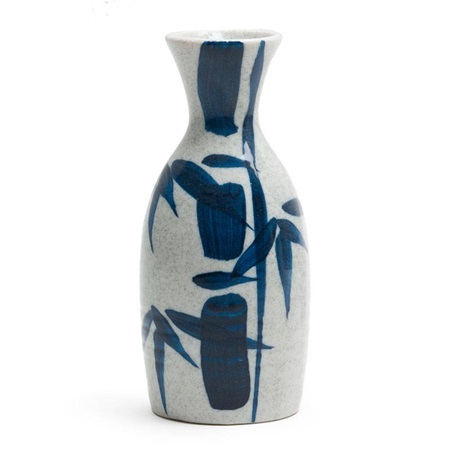 Blue Bamboo Design Authentic Japanese Sake Bottle Available at Miya. Drink sake and be merry! These wonderful sake bottles will help bring the authenticity home on your quest to becoming a sake connoisseur. Mix and match for an outstanding collection. Coordinating cups and smaller bottles sold separately. Part modern, part traditional, our products complement any decor.